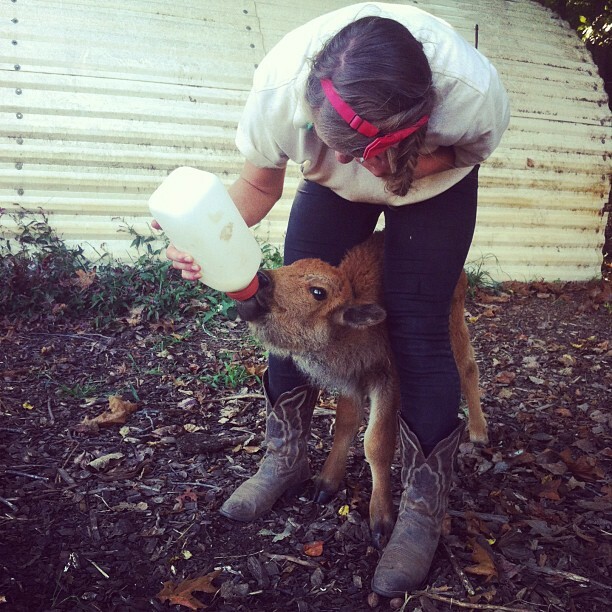 Almost any day when I look at my granddaughter Joy’s Facebook page I am likely to see her involved with a cow. Should I be a concerned grandmother? Should I write to an agony aunt somewhere and ask, what’s up? Below is yesterday’s cow and Joy wearing one of my old shirts (and I thought it attracted men). She tells me she is going to specialize in poultry science, but I have yet to see her with a chicken. In case you missed it here are a few more cow photos. 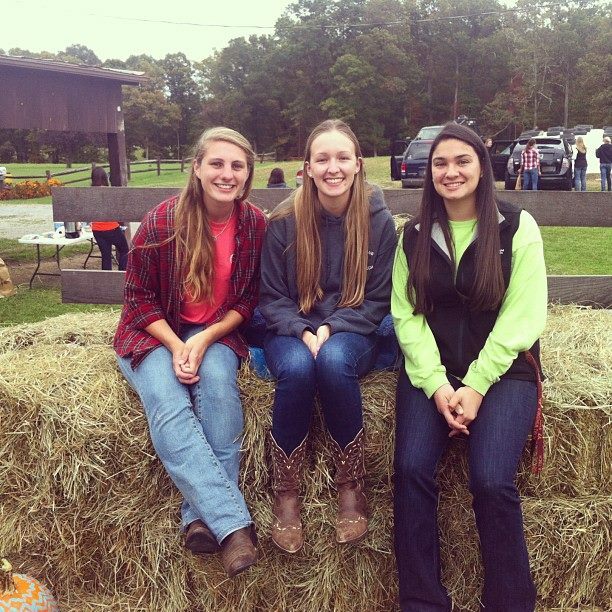 And here’s one with her girlfriends…all cow girls on her campus. Now I know why they call it Moo U. This entry was posted in Animals, Family/Children, Retirement Living, Women by SchmidleysScribblins. Bookmark the permalink. Your granddaughter looks like a very happy go lucky young woman. Looks like she’s got her career planned. 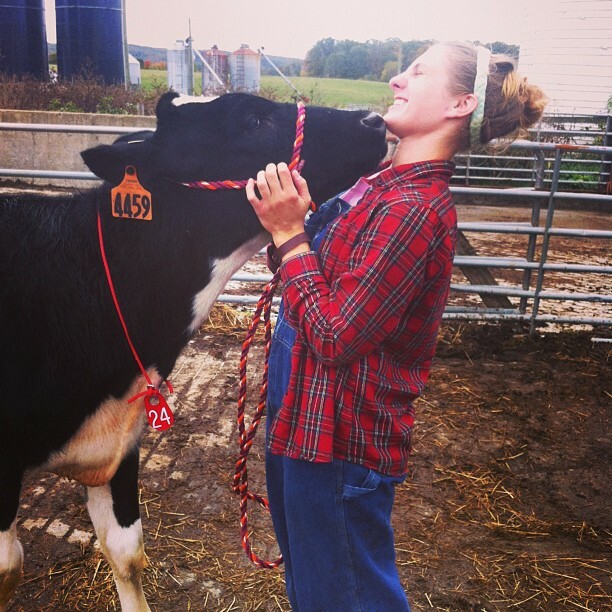 I have never seen anyone else kiss a cow. Gee you’ve led a sheltered life. Some girls kiss jackasses. She attracts cows. 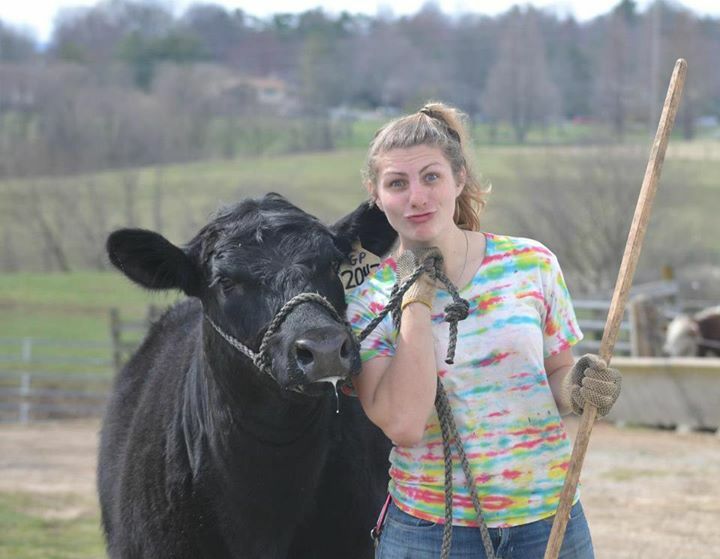 Or maybe, your shirt attracts cows. Good for you. I am trying to kick the Vicodin and in lots of pain. Wonderful post! She looks so happy in every pic. That’s Joy. She is well named. The family returns to its roots. Nice photos. And that’s one boss shirt … er, rather, one bossy shirt. I loved that shirt, but either I grew or it shrank. Your granddaughter is a sweet girl, I love these photos. She looks like she is having a great time. Hope all goes well with you and you are feeling a whole lot better after your op. She and her friends are delightful, but I wonder, too. 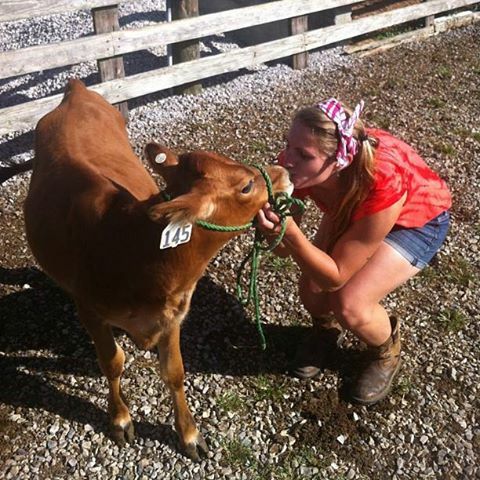 Poultry may be her career, but it appears she loves those cows, maybe a consuming avocation in her future? Beats me. I’ve never seen her with a chicken, except those at her parents farm. I’m talking up Wisconsin for her internship next summer. Lots of cows there.